Many of us spend our lives searching for something to satisfy our deepest longings. Yet we will never find complete satisfaction in human relationships, possessions, or personal power. As Saint Augustine wrote, "Our hearts are restless until they find their rest in you [God]." 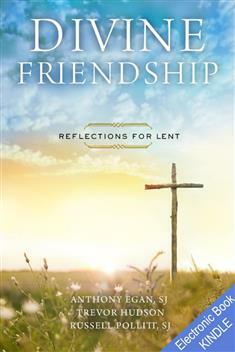 Lent offers us the opportunity to deepen our friendship with God. The idea of being friends with God may intimidate some, but the authors of this book provide practical tips for developing a closer relationship with God. Set aside at least 15 to 20 minutes each day to spend with God, the introduction suggests. Read the scripture texts and reflections, and pay attention to what they evoke in you. Then talk to God about your thoughts and feelings just as you would to your best friend. During Lent Jesus invites us to spend time with him and to renew our friendship with him. This encouraging book reminds us that we are beloved children of a God who deeply desires friendship with us. The meditations help us realize that through friendship with God, we will satisfy our hearts' yearnings.